Debt consolidation offers a way to lower and simplify your debt repayments. But who can you trust to provide debt consolidation services? Read on to find out. 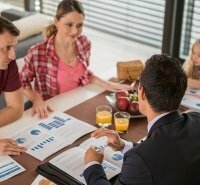 When faced with a choice of debt relief or bankruptcy, there are a number of pros and cons to take into consideration. In most cases, bankruptcy means financial death for debt holder. Many debtholders are unaware that there are many other options besides bankruptcy. One of these options is debt consolidation. All types of debt relief can cause negative damage, but debt consolidation can actually improve your credit score in the long run if you pay off your new loan on time. Credit cards offer more convenience and flexibility than cash, but it can be easy to lose track of spending and fall into a spiral of debt, which in turn can cause a great deal of financial and emotional pain. 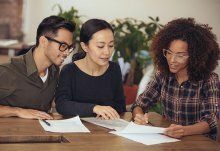 Finding the right debt relief solution is not always a one-size-fits-all proposition, and households should always consider their own unique circumstances when determining the right tool to lower outstanding debt. 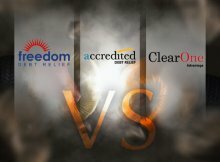 With such a weighty decision, it is crucial to dig deep and truly understand what each provider offers, and how that can help reduce or even eliminate debt. What works for some may not work for others, and it is vital that customers feel comfortable with their debt relief company.